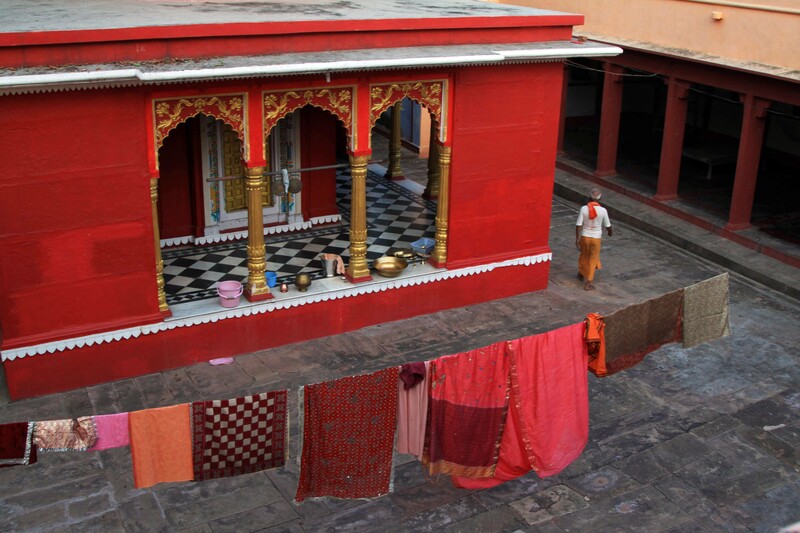 One of the things I loved when I visited this akhara in Varanasi was the colours. I have visited a few ashrams and akharas since then and I haven’t seen anything as vibrant and beautiful. And because it had sadhus staying there, who mostly dressed in maroon or orange, even their washing blended in perfectly with the surroundings. The urge to wear these lovely vibrant colours was contagious. You just felt good wearing them. But I wasn’t the only one to become attracted to all things orange; I noticed too that the worker who came in every day to sweep and clean (pictured here) also began to adopt the akhara colours. RED is my favorite. Great composure !